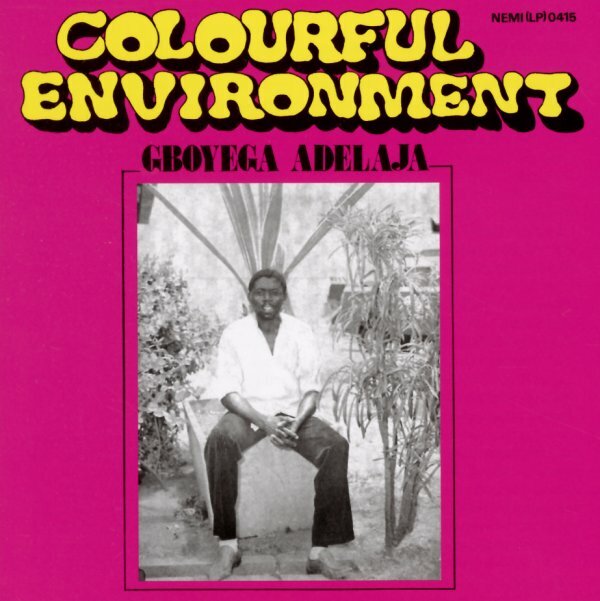 A Nigerian soul classic from Gboyega Adelaja – an artist who spent a fair bit of time on the US scene in the mid 70s, where he clearly drank from the deep well of funk and soul! The album's got a vibe that's maybe a bit tighter and groovier than some of Adelaja's contemporaries – maybe influenced by his time working with Hugh Masekela, and interacting with members of the soul roster on the Casablanca label while he was in the US – as we definitely hear lots of thoughtful arrangements and great studio elements going on in the grooves – not a slavish attempt to copy American funk, but definitely aware of all the right skills needed to succeed with a top shelf recording! The rhythms are unusual, but often right on the money – and titles include "Ere Aladun", "Funky City", "I Still Love You", "Agberede", "Colourful Environment", and "Baby My Love For You". © 1996-2019, Dusty Groove, Inc.